Interview with Soledad from Masdeco Magazine. Masdeco is dedicated to design, architecture, art and decoration and its distributed around Chile. It is a product of the newspaper La Tercera. – What are your backgrounds? – How do you create Kobakant? – What projects are you currently working on? – How does KOBA work? – Tell me two most interesting commissions have you done and why? – What are the immediate contributions of technology to textiles? – What do you think is the hardest part of working whith technology and textile crafts? – What are the strengths of KOBA? – How to define your contribution to society? – Where do you see Kobakant in five years more? Not quite sure about all the details, in terms of interpretation from our video self-interview and then translated by google-translate…. but easy to read. 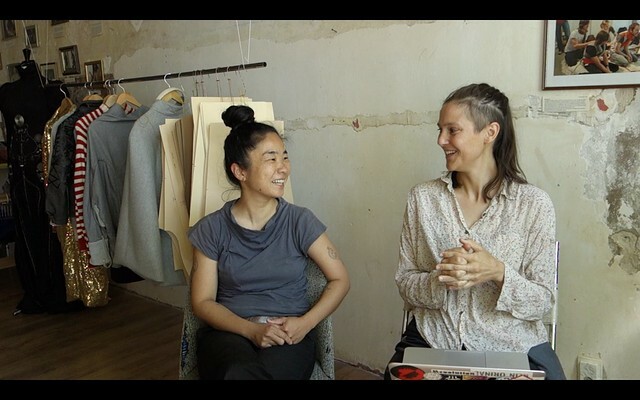 Hannah Perner-Wilson and Mika Satomi form Kobakant, the collective of artists with an electronic textile store called Koba, located in the heart of Berlin. Within it the technology reaches the perfect union with the design, putting itself at the service of the requirements of each client. Words like ‘critical’, ‘ludic’ and ‘adventurous’ can be read on the map of creative thinking that unfolds on the walls of the Kobakant workshop. The objective is to invite customers and passers-by to open their minds when they come to ask for help in the task of translating ideas into clothes. “Something like identifying the idea of ​​who one is or who we would like to be and then in Kobakant we guide you on the way to a project,” Hannah and Mika tell. 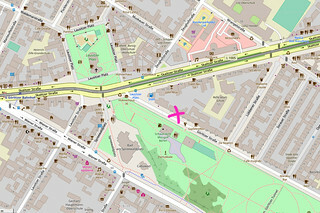 The workshop, located in front of the Görlitzer Park in Kreuzberg, excels in accessories, tools, staples, fabrics and sketches, as well as amplifiers, antennas and fiber optics. Hannah Perner-Wilson is an industrial designer and also studied media technology; Mika, meanwhile, studied graphic design and technology art. Both have collaborated for ten years, training in electronics and textiles with a focus on the personalized and not on the mass. Before arriving at their current project, they thought that they would spend their lives in classic tailors, until they hit the nail on the head to mix the textile with the technology in an artisanal way. Thus was born Kobakant, a brand formed by the Japanese word ‘koba’, which means family manufacture in the city, and ‘kant’, which in German means work. His creations reflect the interest in technology as a means that provides an astute condiment to textiles. “In electronic textiles you have to do everything yourself, and every time you can do it to measure,” says Hannah. 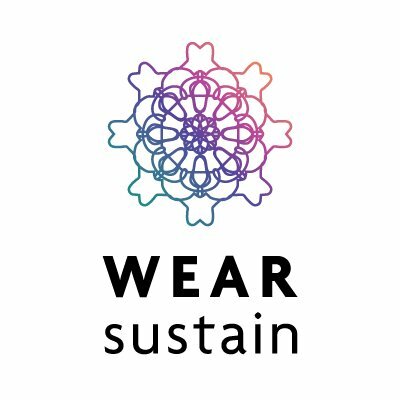 What was formed in September of last year already has the funding of the WEARsustain fund of the European Union. In today’s world, Hannah and Mika see technology as something utilitarian, another material. “We are very good at coping with what we have, which also makes us creative, but somehow all these devices and ideas try to make something easier, better, faster and more efficient to live our lives”, says Hannah. Both have fun with what they do. “It’s a poetic form. It’s telling stories about how these things look, while documenting the development process and conversations with clients, “they say. And time has given them the ‘expertise’ to be able to assemble perfectly, after the formula of trial and error, the softness of the fabric with the delicate of technological connections. This is perhaps the most difficult point of the coexistence of both subjects “, they maintain. Two projects stand out in these nine months of life. The first was gloves that tried to translate the movement of the hand in the air simulating being on a keyboard. “He put a sensor on each knuckle and on the thumb that connects to the laptop: the sensor recognizes that one finger goes down, another goes up”, how much Hannah. The other was the “Jaqueta de Sebastián”, designed with polygons that illuminated with LED and with a control that allowed him to animate the jacket. “Our store is for real people who want to implement technology according to their needs and thus open up the possibilities of textiles,” says Mika.